ALLEGRA BOVERMAN/Staff photo. Gloucester Daily Times. 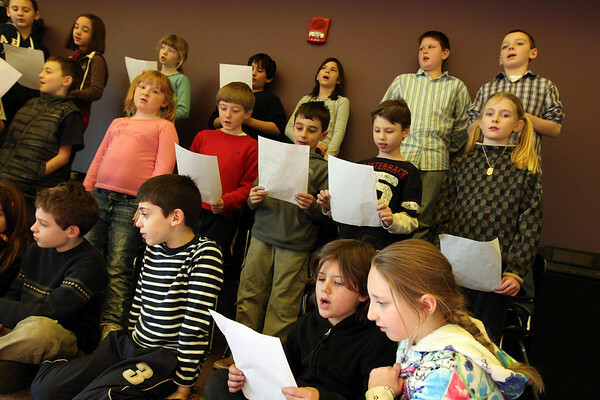 Gloucester: Second and third graders at The Gloucester Community Arts Charter School sing on Monday afternoon.